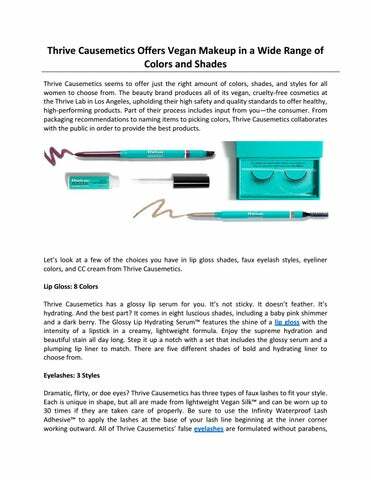 Thrive Causemetics Offers Vegan Makeup in a Wide Range of Colors and Shades Thrive Causemetics seems to offer just the right amount of colors, shades, and styles for all women to choose from. The beauty brand produces all of its vegan, cruelty-free cosmetics at the Thrive Lab in Los Angeles, upholding their high safety and quality standards to offer healthy, high-performing products. Part of their process includes input from you—the consumer. 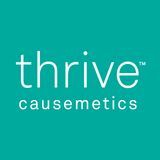 From packaging recommendations to naming items to picking colors, Thrive Causemetics collaborates with the public in order to provide the best products.